Eldrac is an ancient Inhuman who became a giant architectural door when exposed to the Terrigen mist. He is generally shown serving the Inhuman Royal Family. Eldrac is an Inhuman that for many years was a fixture of the Inhuman city of Attilan. When Eldrac underwent the process of Terrigenisis he became a sentient building whose mouth can teleport people who entered it anywhere. Eldrac is said to teleport people not where they want, but where they are needed. He is sometimes thought of as more of a thing, than a person but has been shown to have consciousness, and sometimes even personality. Eldrac can choose whether to teleport someone or not, which can often leave people begging the ancient door for help. Black Bolt used Eldrac to evacuate Attilan before igniting the Terrigen bomb that created a huge number of Inhumans. Eldrac brought the residents of Attilan to a safe location. Eldrac was found and brought to new Attilan. Medusa asked Eldrac to transport her to her husband, Blackbolt but instead he brought her to a place where the New Inhuman Dante was being confronted by the Inhuman Lash leader of the Lor tribe. Through this event she becomes aware of the needs of the new Inhumans and offers them her support. Eldrac is coerced into helping the Numan villain Lineage that eventually results in Lineage's death. Lineage was attempting a coup and offered Eldrac the ability to move around. Eventually, Lineage is killed by Karnak who bursts forth from his body. Eldrac can transport people who walk into his mouth anywhere. It is unclear if this power can cross dimensions and time. Eldrac is also extremely long lived and durable having been transformed into a sentient building. 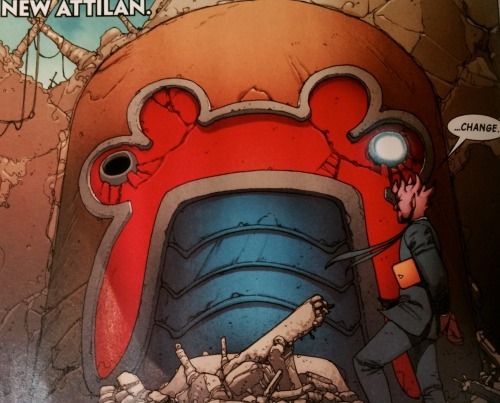 There was a theory that Oblisk that appeared in Agents of SHIELD could actually be Eldrac the Door. This was not the case but the theory was popular enough that we have left it alone. Below is the original theory. Is the Oblisk really Eldrac the Door? This post has become so popular that we have created another post to answer your questions. Thank you for your support! Eldrac could be the Kree artifact that appears in the 2nd season of Agents of SHIELD. While the artifact is referred to as Kree in origin it is possible that Eldrac is so ancient that to most Inhumans there is not a difference. This could also help explain why the Royal Family of the Inhumans are not mentioned in the show. Perhaps, they separated from the rest of the Inhumans so long ago that their existence is completely unknown to the other Inhumans. The Inhumans in Agents of SHIELD mention how the stone is something that can kill or harm them. Eldrac would be dangerous to these rogue groups of Inhumans as he could teleport them to the Royal Family, or potentially bring the Royal Family down upon them. 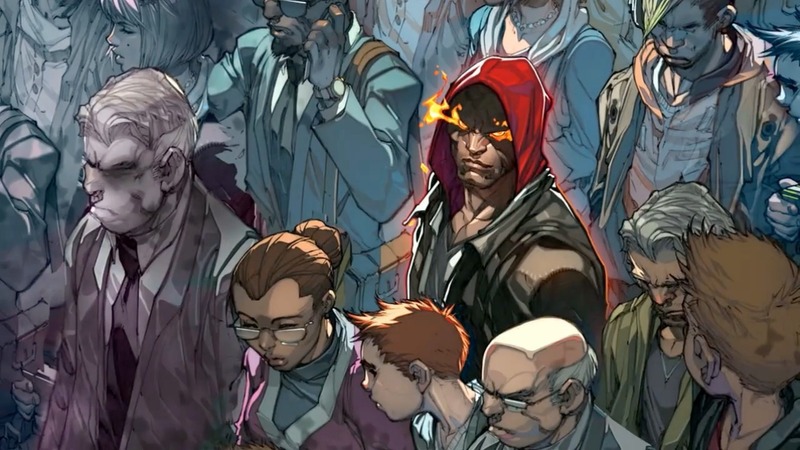 There are few groups more powerful and deadly than the Inhuman Royal family and their strict rules could mean death to a rogue group of Inhumans. The Stone has a group of holes in it, that kind of a appear to be a crude face. With two offset eyes and a dotted line for a mouth. This is similar to the Architectural like face of Eldrac. The cool thing about this theory is that it would be the first link to the Inhuman Royal Family. If the artifact is Eldrac then he could have simply swallowed Simmons to bring her to a place where it felt she needed to be.